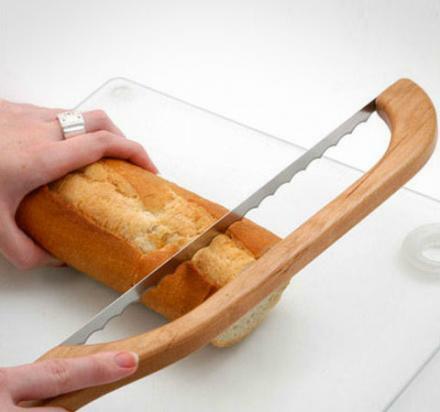 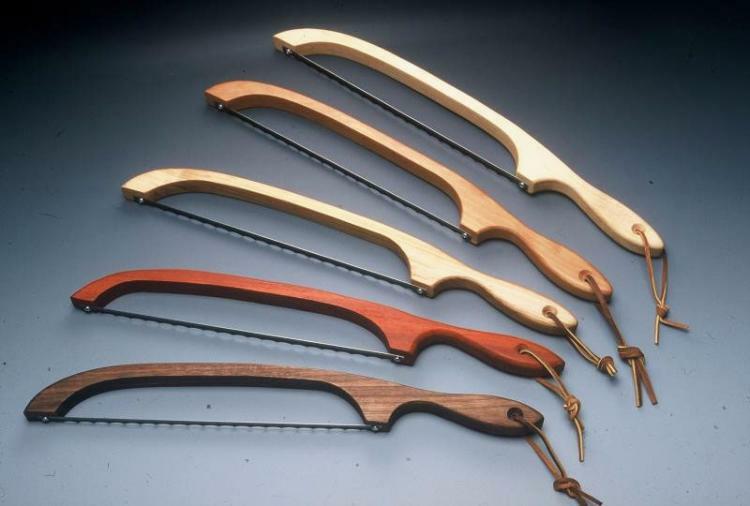 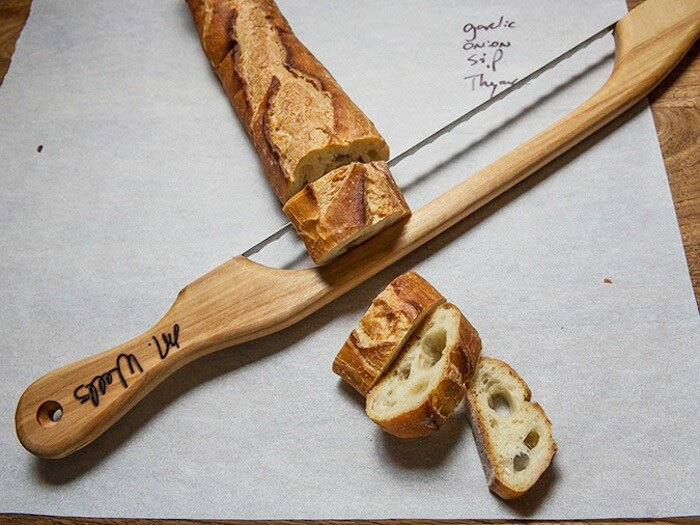 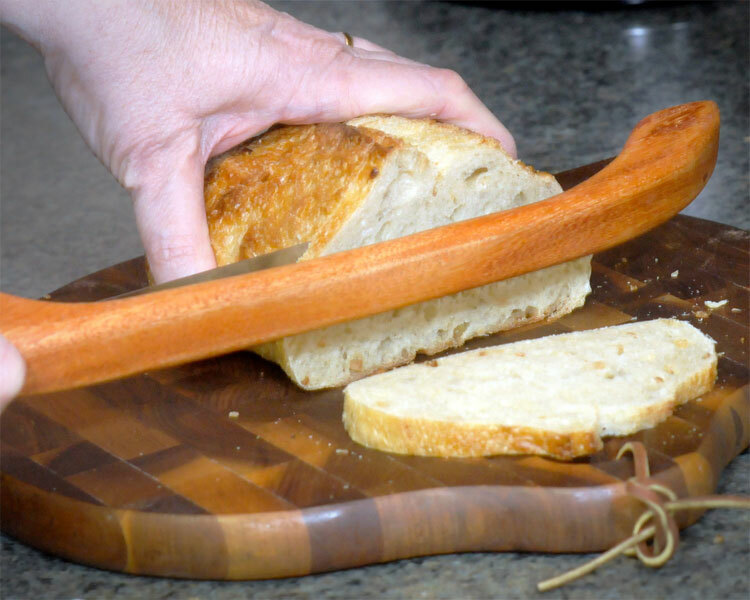 The bread saw is a bread knife that is similar to a hack saw that lets you saw your bread instead of smashing it into a flat inedible piece of garbage that you would normally do when using a dull knife. Perfect for cutting french bread, baguettes, or any other hard shelled bread, the bread saw will also allow you to cut slices that are the exact same size, just align the edge of the bread to to the inner end of the saw and you will no longer have one slice that's 3 inches thick, and another that's paper thin. 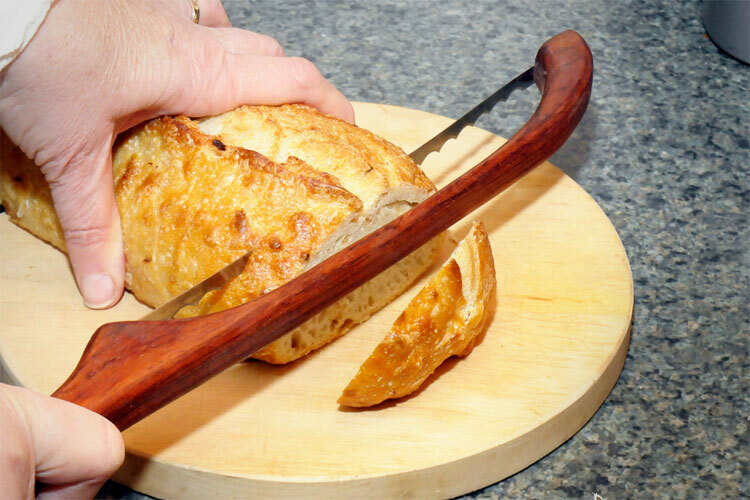 The bread saw has a stainless steel blade that will never need sharpening, comes in many different woods to choose from including Alder, Walnut, Maple, Cherry, and Mahogany, and measures 16 inches long x 2.8 inches wide x 0.6 inches deep.